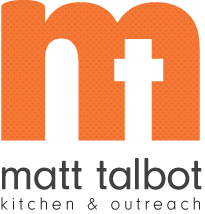 “Huskers Helping the Homeless” Raises Over $40,000 for Matt Talbot Kitchen & Outreach! On Saturday, October 5th, approximately 400 youth and adults volunteered before the Nebraska vs. Illinois football game to help raise over $40,000 in support of Matt Talbot Kitchen & Outreach’s (MTKO) hunger relief and homeless prevention services! MTKO volunteers accepted monetary donations throughout the weekend in the downtown area, Sam’s Club and Walmart stores, and at Southpointe and Gateway Malls. “We are so grateful for the generous support of the community. And a big thanks to all our volunteers who accepted donations on game day and on Friday night. They braved the cold weather and made it all possible!” said Susanne Blue, Executive Director of Matt Talbot. were AlarmLink USA; Andy’s Appliance Repair; Cost Effective Technologies; Lincoln Journal Star; Legacy Retirement Communities; Latch’s Inc.; Modern Woodmen of America; REALTORS® Assoication of Lincoln; Rochester; SolutionOne; and Tracy’s Body Shop. BIG RED sponsors were Austin Crop Insurance, Commercial Investment Properties, Phil & Mary Durst; Greg & Darla Ernst; Hy-Vee; INSPRO Insurance; Molex Incorporated; Nebraska Orthopaedic and Sports Medicine, PC; NECO Security; Recycling Enterprises; Runza® Restaurants; and Sun Tan City. BIG TEN sponsors were B&R Stores, Inc.; Cornerstone Print and Marketing; Earl Carter Lumber; Hockenbergs; Nebraska Title Company; Newslink; rent-a-van; Ritchie Bros.; Schaefer’s TV & Appliance; UNICO Group Insurance; Wagey Drug; Willnerd & Associates, LLC; and Woods Bros. Realty. A special thank you goes out to the Universityof Nebraska Athletic Department for partnering with us each year on this event, to Community Leader Tom Osborne for helping promote the event, and to the University Lutheran Chapel for allowing MTKO to utilize their facility as a central meeting location for the event. To celebrate the important role students have in this event, a trophy is awarded to the high school with the most registered volunteers on game day. Lincoln Southwest High School won the trophy for the second year in a row with 28 registered volunteers! Lincoln Christian came in second with 20 volunteers, Lincoln Southeast came in third, and Lincoln East and Lincoln Lutheran tied for fourth place. Other schools represented on volunteer teams were Doane, Union College, University of Nebraska- Lincoln, Lincoln Pius X, Lincoln Northstar, Norris, Nebraska Wesleyan University, and Southeast Community College.